Well, we don’t know about you, but the first month of 2016 flew by quickly for us. As we enter into February, below are some fun events that you and your family might enjoy. See Rock City is the sequel to “Last Train to Nibroc”, playing at Rubicon Theatre Company. Get more information and purchase your tickets here. The first Friday of each month Ventura puts on an event that highlights the art community and all that our beach environment has to offer us. Visit their site to get a bit more information as well as the lineup. Different locations offer everything from lectures or demonstrations to performances and displays. Also, if you’re interested in being a part of First Fridays, visit their site to download and fill out the application. Need a special gift for your Valentine? Visit The Ventura’s Potters’ Guild Gallery for the beautiful work from Gayle Bentley Swanson. As an extra gift, for purchases made between February 7th and Valentine’s Day, customers will receive a ceramic rose to accompany their purchased goods. Swanson’s creations consist of coastline colors and come in an assortment of goods from goblets to platters and everything in-between. Come celebrate the year of the monkey at Camarillo Public Library, Saturday afternoon from 1:00 PM-4:00 PM. 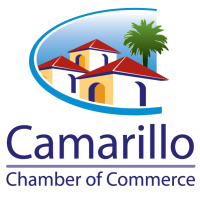 Expect to see the Camarillo Kung Fu Club, California Institute for Chinese Performing Arts, Ventura Chinese Folk Dance Group and many more! There will be additional parking at Rancho Campana High School, so check it out for an afternoon of free family fun. This is an adults night out so get the babysitter on the calendar! Starting at 6:00 PM at the Ventura Beach Club, there will be 4 top shelf whiskey tasting along with 2 premium cigars and don’t forget the appetizers and dinner that will be served. Get more information here and check back often as the whiskey lineup will be posted soon. Come down to Pacific View Mall for the “World’s Sauciest Party”! Inspired by the tomato fights from Europe, this event combines a tomato food fight with an awesome concert. Children under 11 are free with a paying adult so grab the little ones and have some fun. This event benefits Action Against Hunger. Get more information and your tickets here.